The competition season is underway, with fantastic scores starting to come in as the big events begin. A great score of 100/299 from Darren Bell at Culbann C. P. C in Northern Ireland. 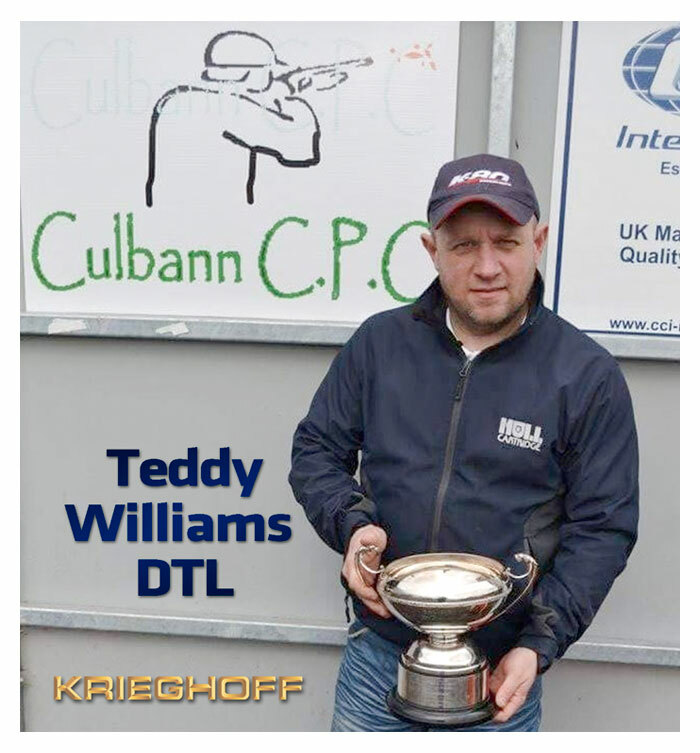 He won High Gun for the Teddy Williams DTL Cup. Excellent shooting Darren! The 2 day DTL Grand Prix took place at Fauxdegla Shooting Ground over the 1st and 2nd April. Paul Chaplow put in a 200/595 to take Runner-Up position. With a 1-2-3 in the Ladies category, with Emma Holden, Caroline Stanbrook and Izzy Thurnell taking the honours. Junior shooter, Jack Ruane, took the Juniors High Gun also. Very well done to you all. Keep them coming!